This article is about the west indies cricketer Mervyn Dillon who is a new ball bowler for the team in late 90's. Here is given the profile, cricket career and career records of this fast bowler. You can know all this about Mervyn Dillon in a single article. Also his records in all formats and different cricket level. Mervyn Dhillon is an West Indies Cricketer and a New ball bowler of the Team. Born on June 5, 1974, Dhillon is compared to Courtney Ambrose, but failed to become as successful as Ambrose. He started his first class cricket in 1996-97. Mervyn got his International debut in the Test Match against India in Port of Spain in 1997, where he took 3 wickets in the only Indian Innings. In the same year against South Africa, he made his ODI debut. Mervyn Dhillon's best performance came against visiting India in 2001-02, where his bowling was one of the reason of the West Indies Series victory over India. But after this series against India, Dhillon's performance dropped and he also lost his position in both Test and ODIs (One Day Internationals). Mervyn Dhillon is also the part of ICL (Indian Cricket League) and played for the Mumbai Team. This article gives you complete information about Chris Gayle. More information about the biography, profile and career performance of Chris Gayle is quoted in this article. Read the article full for more details. This article gives you complete details about Darren Bravo who is famous in cricket for his style and shots similar to the legend Brian Lara. More details about the profile, biography and career performance of Darren Bravo are quoted in this article. Read the article full for more details. This article gives you complete details about Adrian Barath from West Indies who is showing excellent batting skills with his short career. More details about the biography, profile and career records of Adrian Barath are quoted in this article. Read the article full for more details about Adrian Barath. This article is about one of the most tallest West Indian fast bowles - Joel Garner. Joel Garner is the hero in the 1979 cricket world cup. Here is provided the profile, cricket career and the bowling records of this great fast bowler. Malcolm Marshall is one of the greatest fast bowler in the history of cricket. 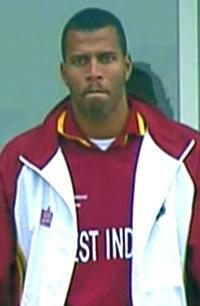 This West Indian bowler has troubled almost every batsman in the world with his excellent bowling during 1980's. Read this article to know more about Malcolm Marshall.